As a Vietnam era vet serving four years in the United States Air Force as a long range radar maintenance technician, Mark Reed managed a telecommunication site. After honorable discharge from service in Anchorage, Alaska, Reed retired as a medical electronics service engineer for Becton Dickenson (Immunocytometry Division), in San Jose, California. He installed and serviced Flowcytometry (white blood cell research) instruments in major universities, medical centers and corporate research laboratories throughout the greater Midwest United States. Reed retired in 2011 after 30 years of service in Park Forest, Illinois. Little did anyone know this would begin his years as a Silent Bonsai artist. 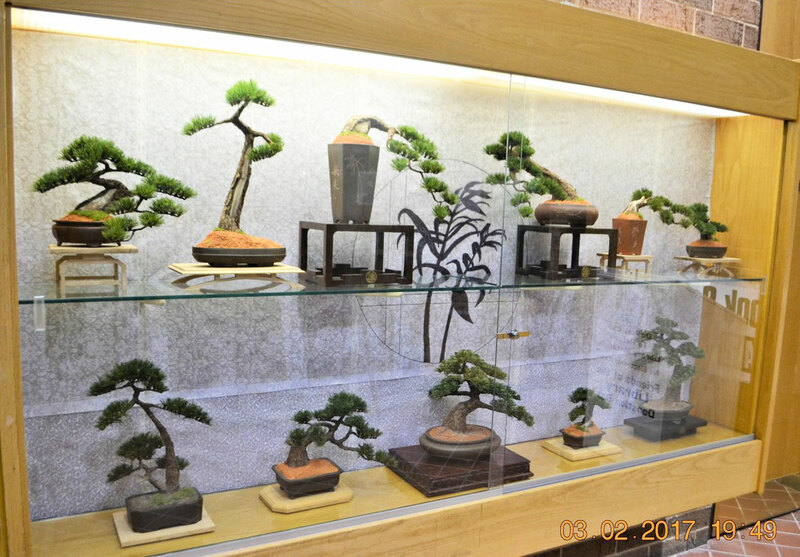 Says Reed, "After inventing an artificial bonsai more than 25 years ago, I became passionate in the pursuit of making the bonsai creations into fine art. Until acquiring realistic artificial pine needles, Silent Bonsai were only art and craft creations. After research and development over the years without any formal art education, I produced impressive trees with fake looking foliage. 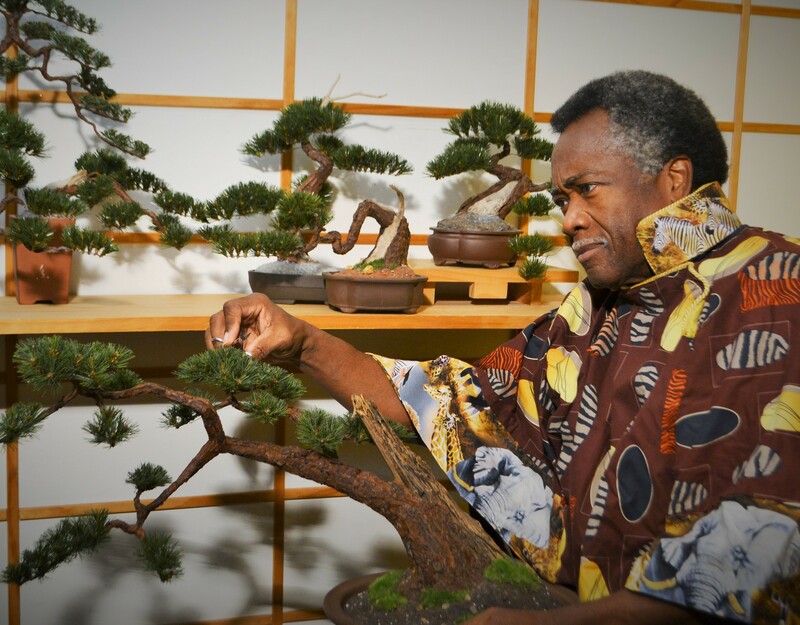 January 2014 brought forth what was needed to create true-to-life realistic bonsai trees that are now bona fide fine art pieces." 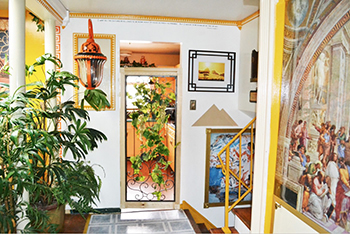 For 30+ years as an international themed decorator, Reed transformed his home interior and exterior into a residential iconic landmark. 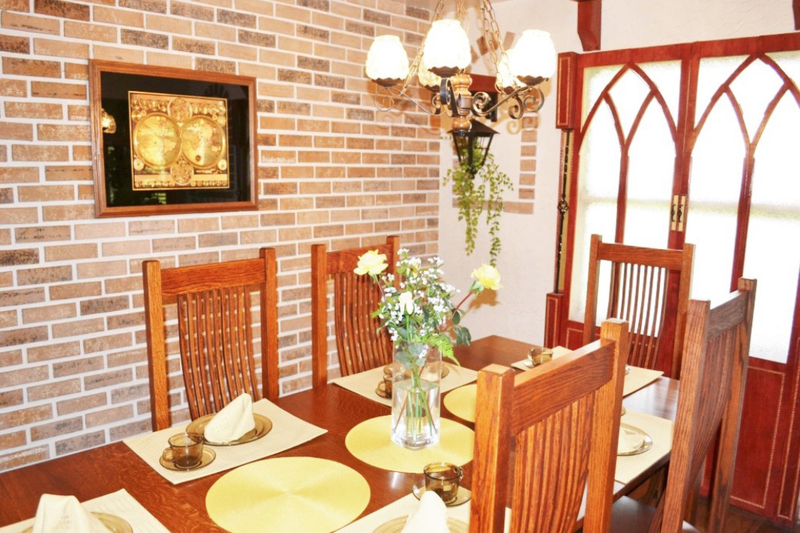 (See images at the bottom) Key to the theme concept has been creating each space with a international country's decor that is readily recognizable without dependence on furniture in the room. The transformation of a typical 50's residential home into the Chinese House of Park Forest was the crowning innovative public art life lesson symbol to challenge the viewer's preconceptions. 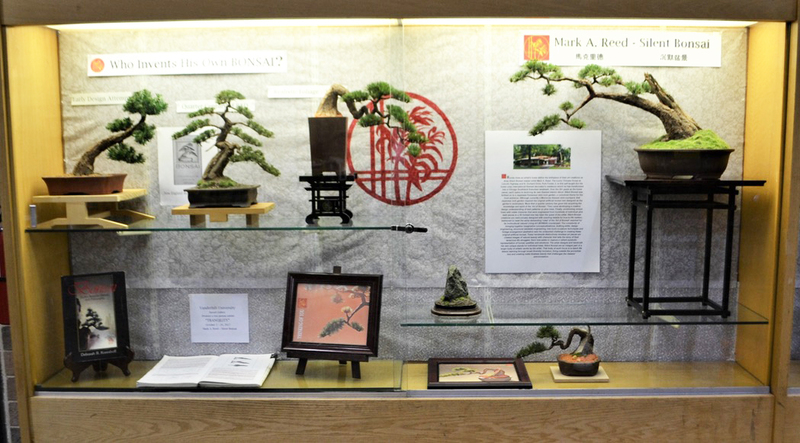 Rarely does an artist's home define the birthplace of their art creations as does Silent Bonsai master artist Mark Reed. The iconic Chinese House at Lincoln Highway and N. Orchard Drive, Park Forest, IL. is the international themed decorator's residence. 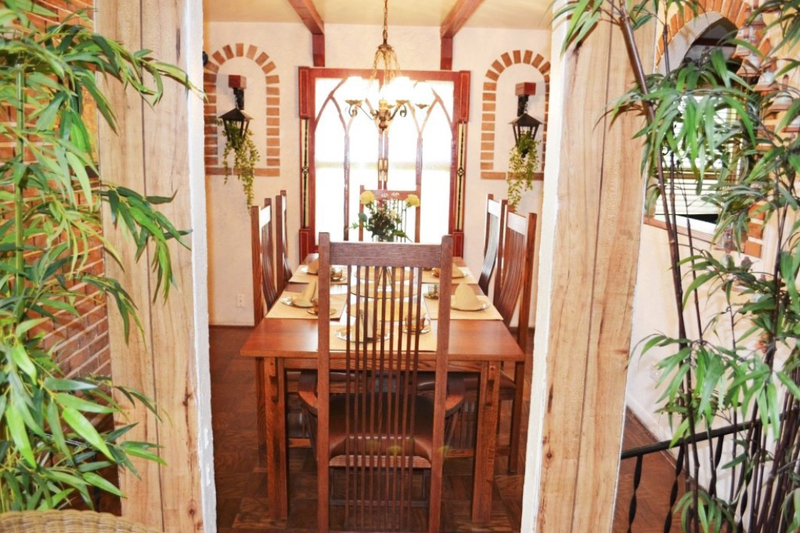 He has transformed his house into a Chicago Southland landmark. 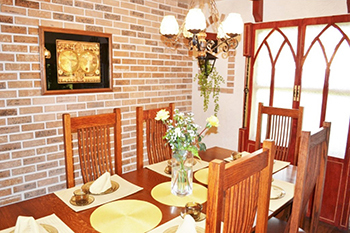 Over the 30+ years as the home owner, each space is receiving its own themed interior décor. 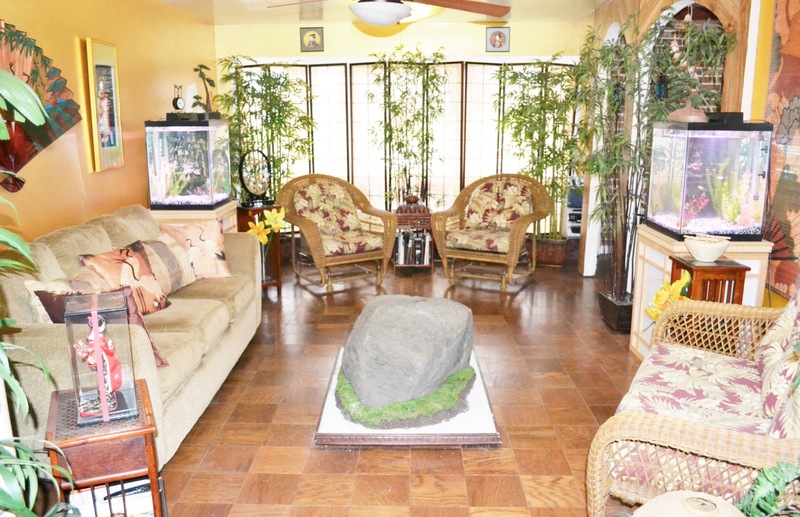 Silent Bonsai was birthed on to a Japanese Karsansui mini-rock garden, a conceived theme for the front entrance. 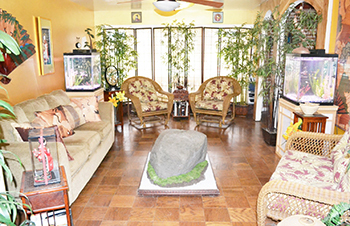 Although currently a Moroccan themed mini-courtyard, that Japanese rock garden inspired the original artificial bonsai tree designed as the garden's centerpiece. More than a quarter century has gone into acquiring the knowledge and spirit of the 'Art of Bonsai.' His body of art works places them in a very unique category for an American artist. Academia would be hard pressed, after viewing his art, to take "The Nine Models of Interpretation" and conclude these models can be applied to "ART" since art really is the product of a culture. 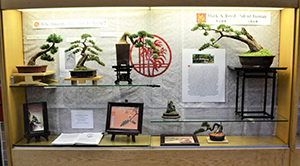 Silent Bonsai are an integral part of a larger body of artistic works by the artist. That body of work focus is to teach life lesson learning through board diversity inclusion, living outside the proverbial box and creating noble timeless beauty that challenges the viewer’s preconceptions. 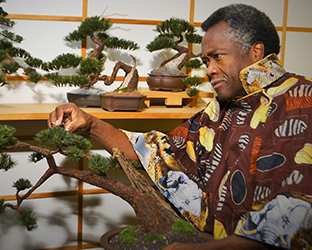 The photographs of his Silent Bonsai Exhibit "Who Invents His Own BONSAI?" (Found in the links below) represents the idea of "Museum Art." If students and teachers visited the Homewood Public Library (Homewood, IL.) 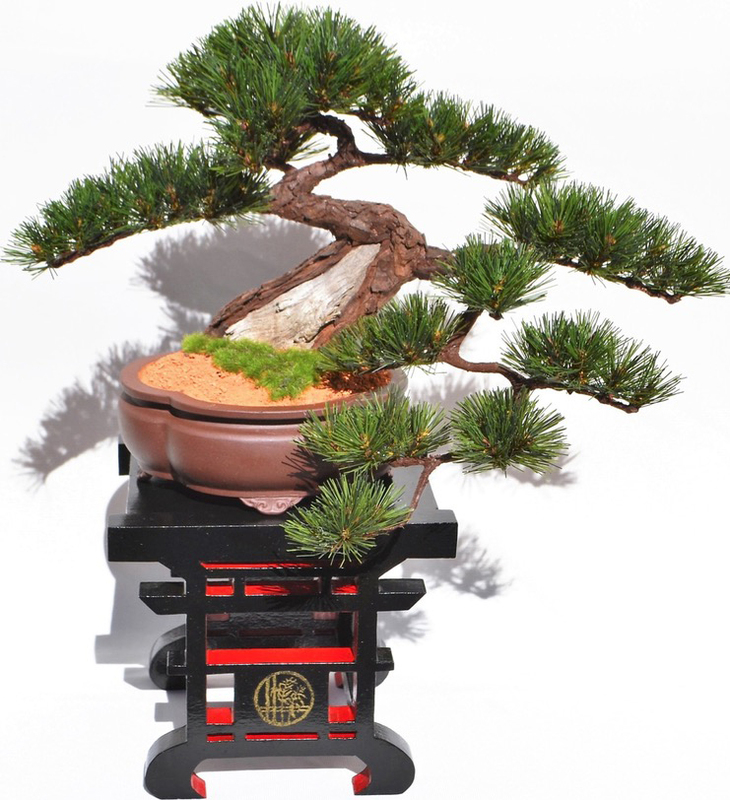 during the month of March, equipped with the "Nine Modes of Interpretation," would they conclude these models hold true for the Bonsai Art featured? "The Delicate Arch? "The Un-Caged Butterfly?" Other artists have admired his work. "I think these models can be applied to "art" since art really is the product of a culture. By REALLY understanding the artwork and why it was created, we have an avenue to the deeper meaning. This approach can be use when dealing with any art, not just contemporary," says Katherine Walker (Schlageck). Delicate Arch – This section is the sculptured creation from the artist invented using the "hot glue" process. It is the beginning of a series of sculptured arches from Arches National Park (100-year Anniversary of NPS). You can find the image among the links below. Un-caged Butterfly – This fictional story was told by a Chinese boy whose father had been imprisoned during the Cultural Revolution. After two years, the father was sent to a village in Southern China for re-education, married and had a son. Beijing would later request the father to come to university to teach the Way of the Ancient Art which the revolution had destroyed. 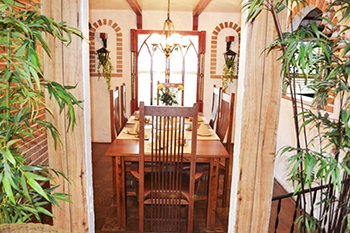 This room is also found in the documents in the links below.